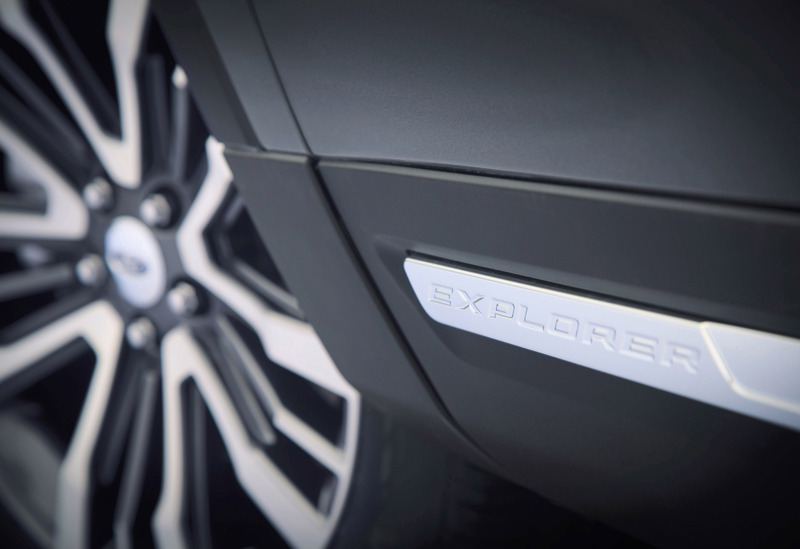 The new Explorer, revealed at the 2014 Los Angeles Auto Show, builds on the strength and leadership of Ford's new vehicle lineup - the freshest in the industry - and provides SUV customers even more versatility, capability, smart technology and efficiency. 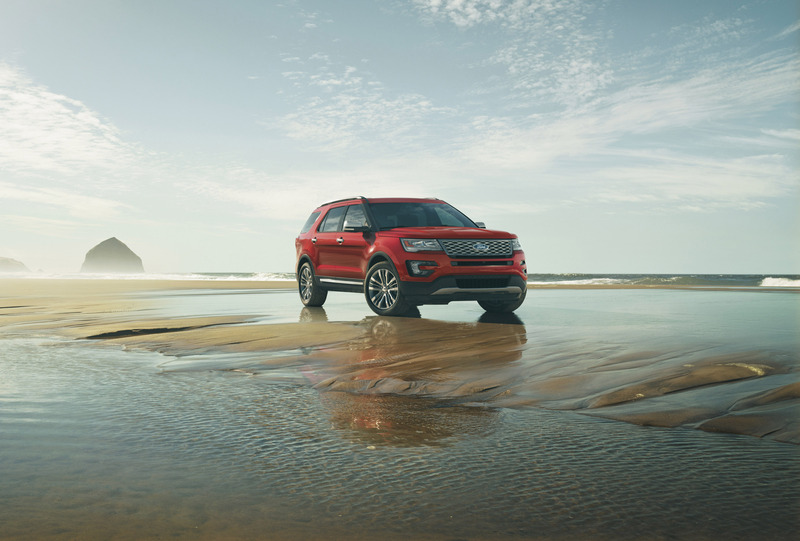 Capability - that's what customers will get even more of with the new Explorer, thanks to an available 2.3-liter EcoBoost four-cylinder engine delivering at least 270 horsepower and at least 300 lb.-ft. of torque. 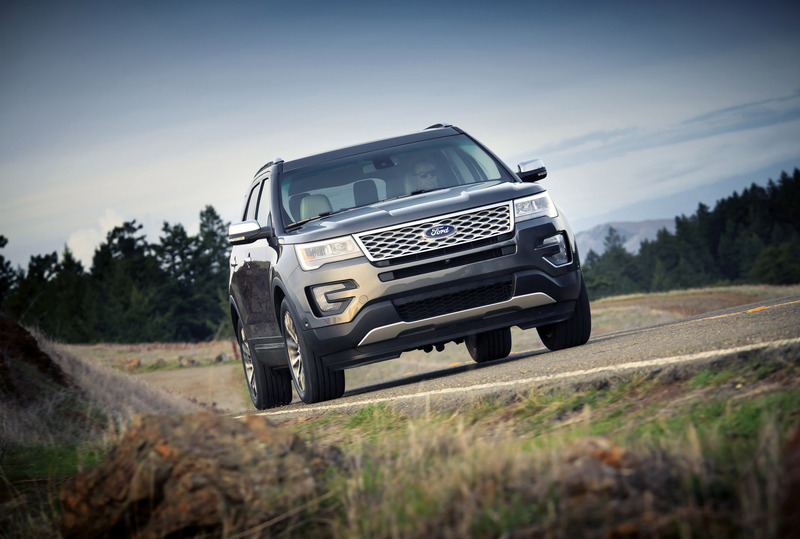 The 2.3-liter EcoBoost replaces the 2.0-liter EcoBoost four-cylinder available for the current model. 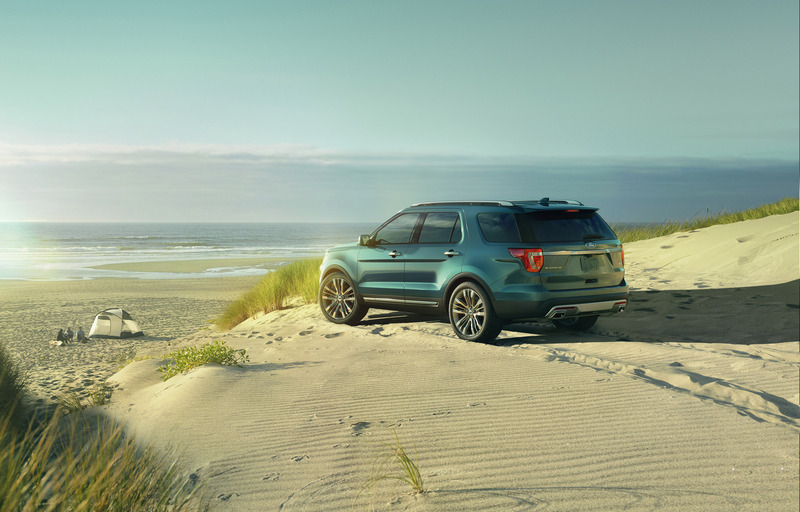 "The new Explorer isn't giving up its reputation as a leader in highway fuel efficiency - especially for the customer who wants a vehicle that is also a capable trail warrior," said Groeneveld. "Customers will not only get the performance of a larger engine, they won't sacrifice efficiency because of it." 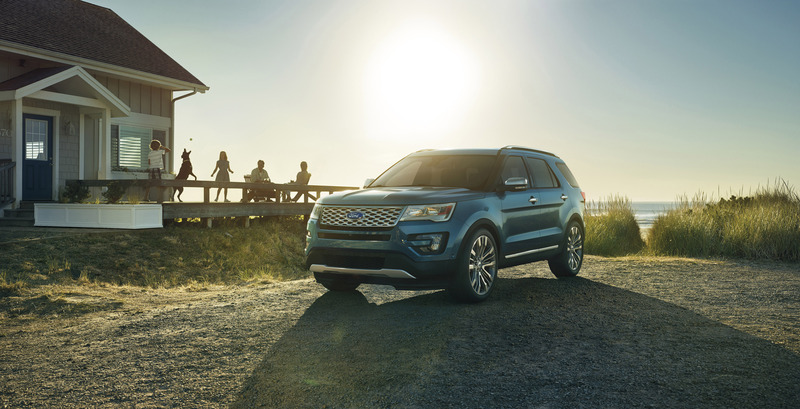 The standard 3.5-liter V6 engine for base, XLT and Limited models - with an estimated 290 horsepower and estimated 255 lb.-ft. of torque - is paired with a six-speed SelectShift® Automatic transmission. 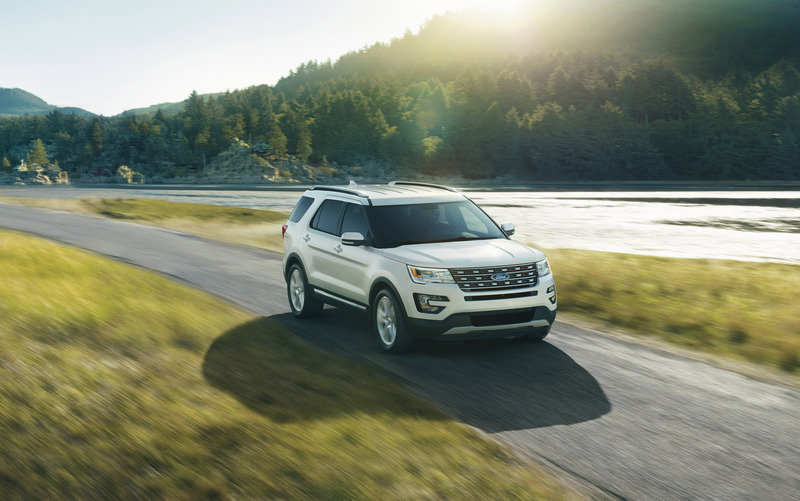 Explorer Sport and the Platinum edition get a standard 3.5-liter EcoBoost V6 with an estimated 365 horsepower and estimated 350 lb.-ft. of torque - also mated with a six-speed SelectShift Automatic. 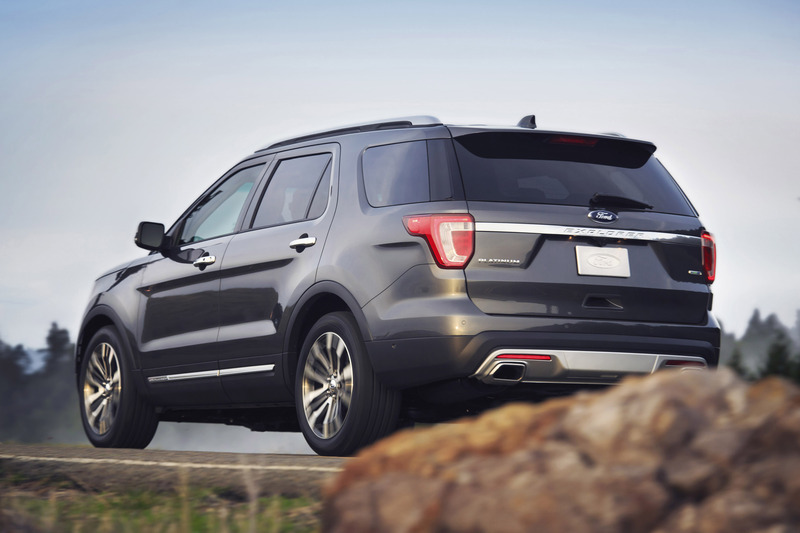 Style - the all-new Platinum series further elevates the full-size SUV in look and feel, with changes to both the Explorer exterior and interior. 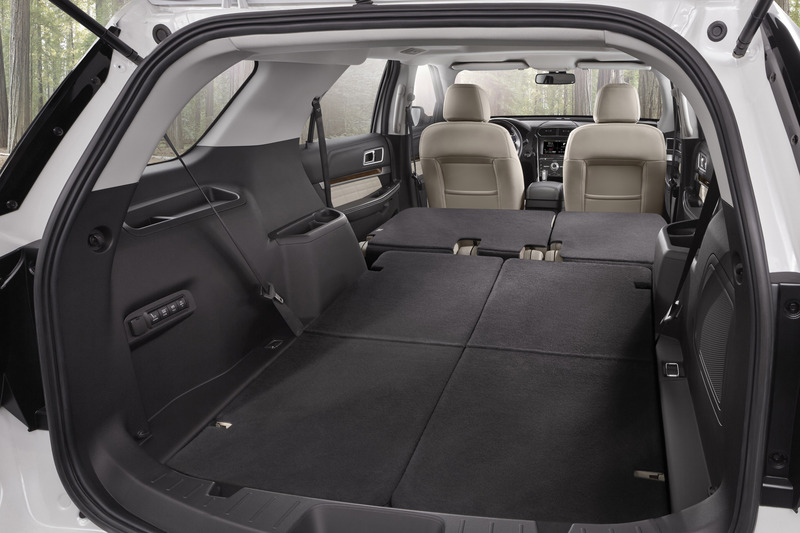 Nirvana leather wraps the instrument panel, console armrests, quilted door bolsters and upper door trim. The instrument cluster features a large 10-inch digital display supported with analog displays - a first for a Ford-brand vehicle. 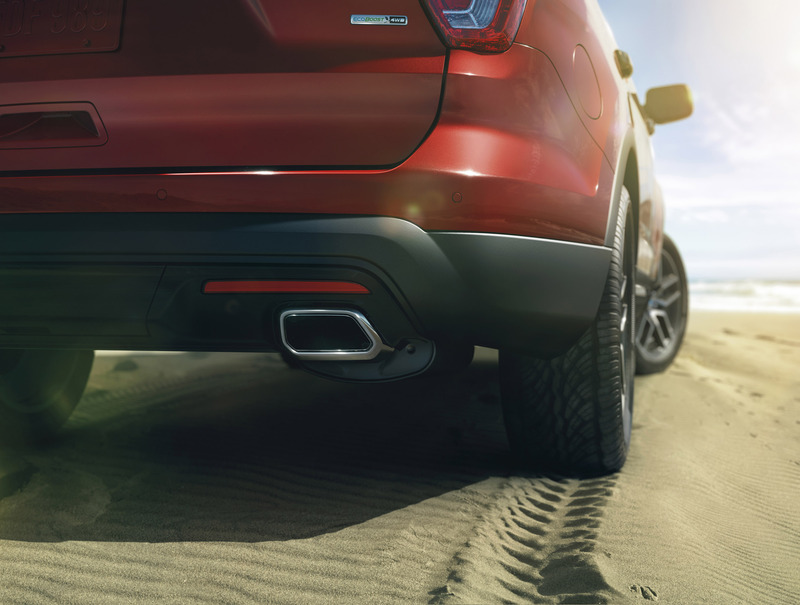 A newly refined, intelligent four-wheel-drive gauge display shows power being distributed to front and rear wheels under all conditions - from heavy four-wheel-drive system usage to when the system is not transmitting power at all - for improved efficiency. 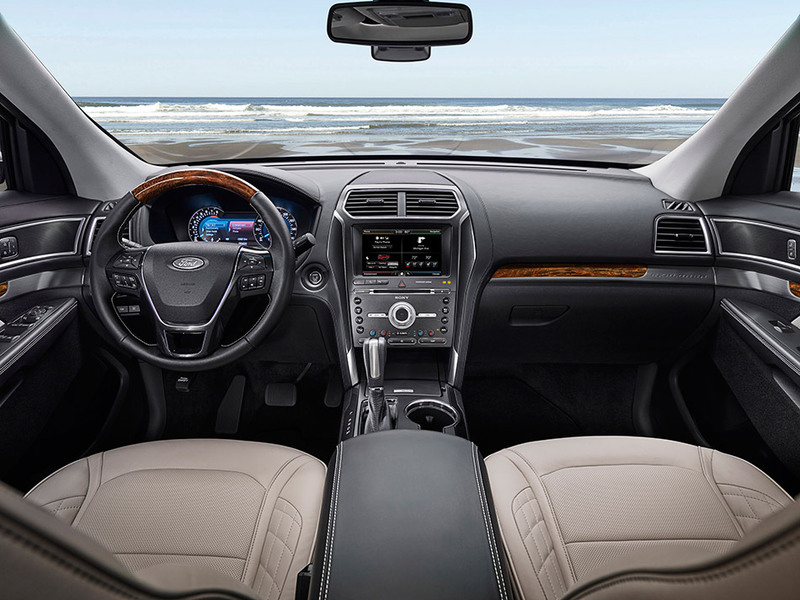 Using a dial located on the center console, the customer can shift on the fly, selecting one of four terrain management modes - normal, snow, sand or mud - to set how the engine, transmission, brakes and four-wheel-drive system will operate. A fifth setting is for navigating hills. 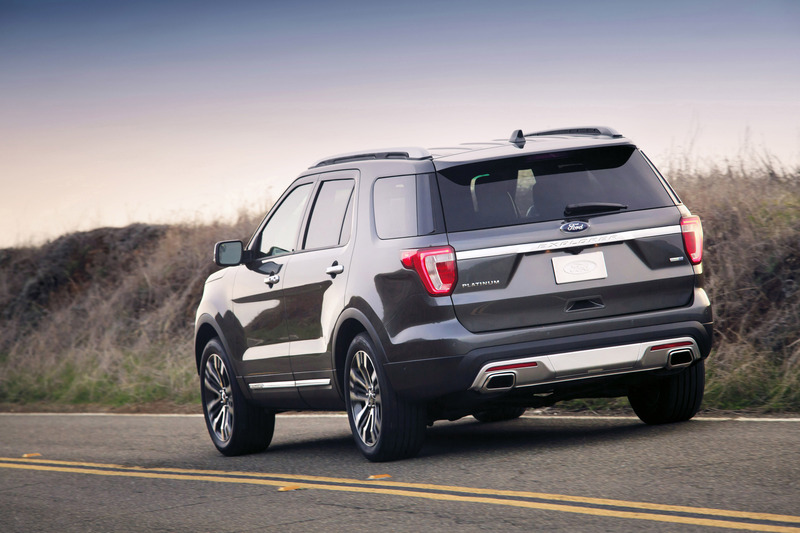 Explorer also features a tower brace that provides additional stiffness between strut towers. 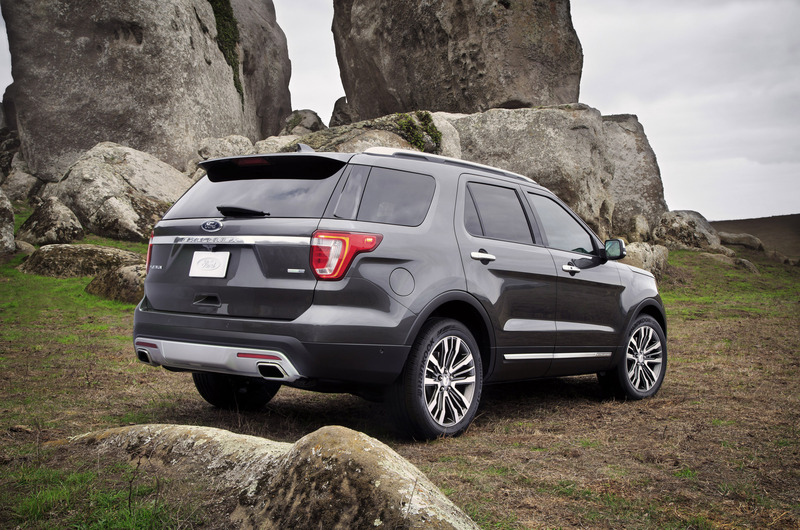 The tower brace for Explorer equipped with four-wheel drive is three millimeters thicker for even more stiffness - providing better control and a smoother ride on rugged terrain. 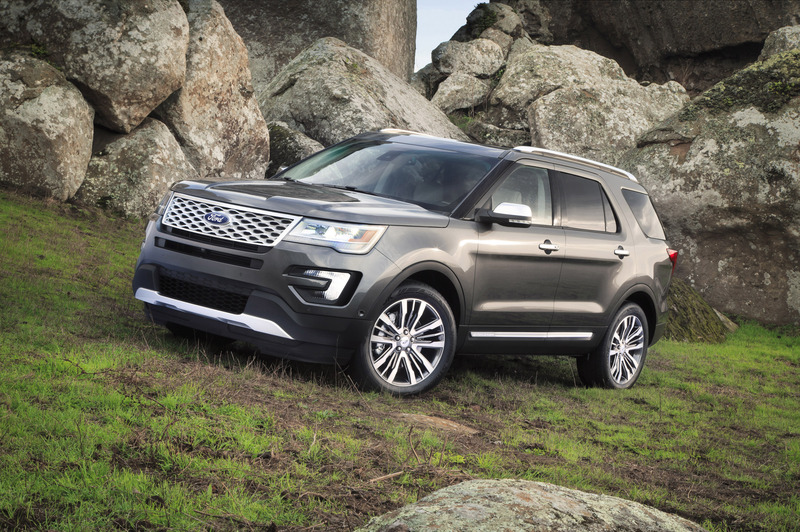 Rugged - that's the word that inspired the designers creating the look of the new Ford Explorer. 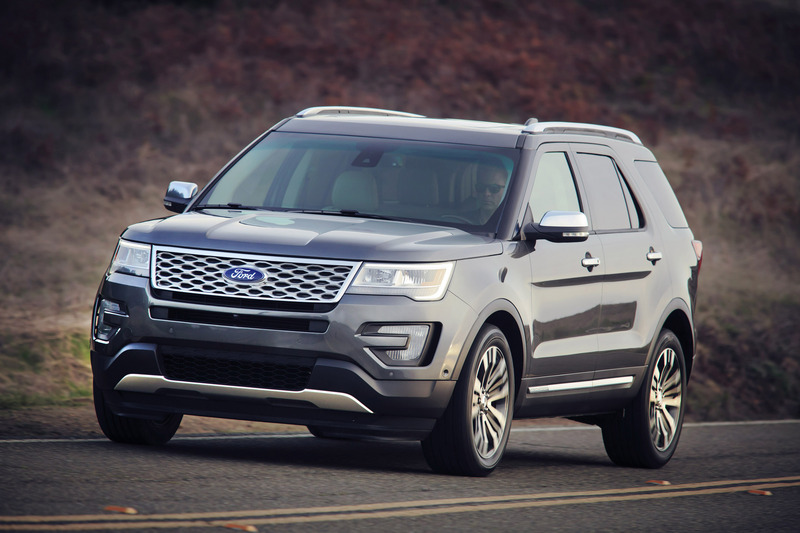 Exterior style updates - such as positioning the grille and LED headlamps even higher, adding a new closed-off lower roof rack with channels that cascade rainwater off the vehicle and a new rear spoiler - also improve aerodynamics.